Whether you like to stay in a luxury hotel with a beautiful terrace overlooking the lake, or you may prefer the laid back atmosphere of sleeping under the stars camping, Lake Como offers the best of both worlds. You may even like to rent a yacht. Whatever your preference you will find it around Lake Como. You will love the view across Lake Como from Hotel Royal Victoria in Varenna. Dating back to the 14th century, this property boasts lush gardens and a swimming pool. 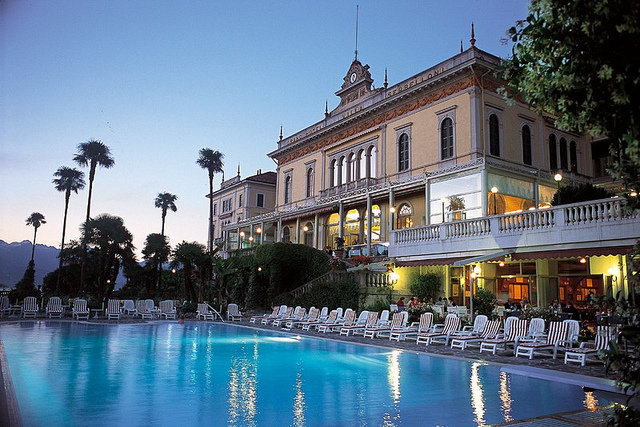 The Royal Victoria is set right on the lake shore in the heart of Varenna. It boasts 2 excellent restaurants, one of which overlooks Bellagio.